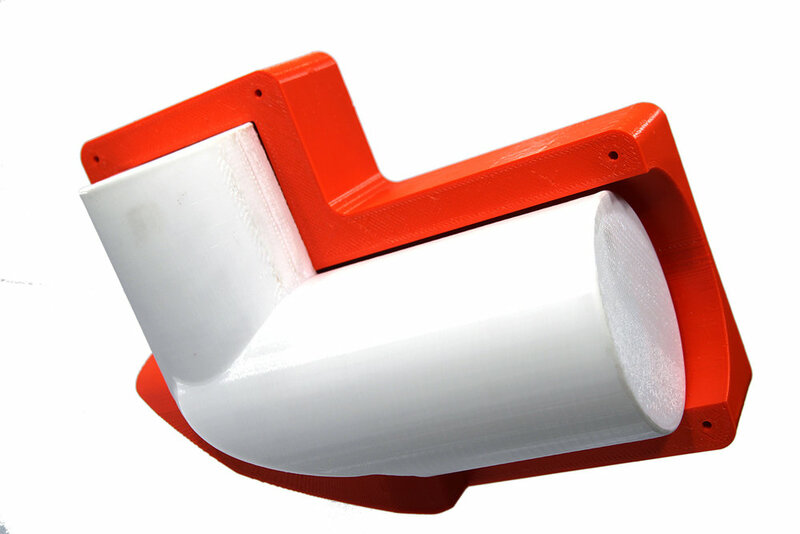 We offer 3D printing services with our own large scale 3D printer. We value our customers and the quality of our service as we work side by side with you to engineer your idea from planning to the post processing. Work with one of Cosine’s expert technicians through a customized process made specifically for your project. Refer to the questions below when filling out your request. Give us a brief description of your part for us to visualize your idea. Knowing the purpose and specifications will allow us to recommend what would be optimal for your project. Do you have a file or need assistance in developing one? What is your parts geometry? Is the weight of your part a priority? What are the applications for your part? A core box of two separate prints that fit perfectly into one another. A large scale T-Rex printed with the back of the skull as the base and printed up to the front of the jaw. Our classic 3 valve, but designed to be sand casted. 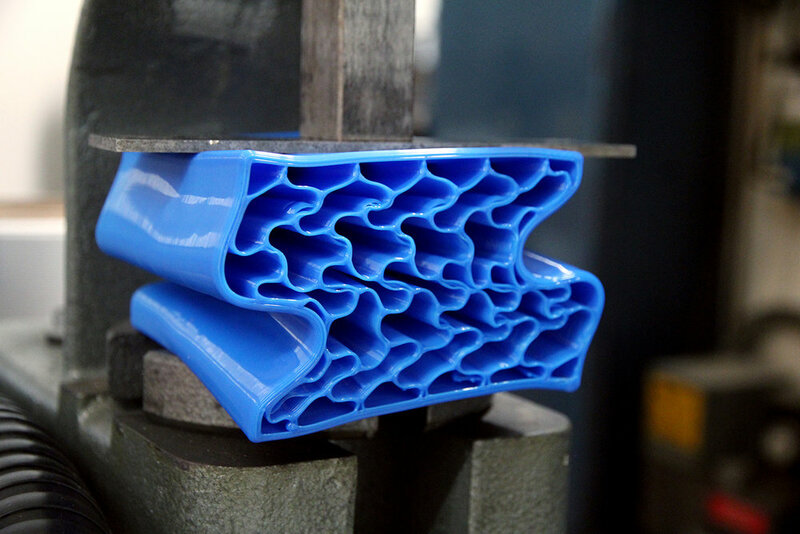 What Surface Finish are you looking for? The layer height is the height of each layer laid on the part. Higher layer heights equal less detailed, but faster prints. However, a lower layer height makes for more detailed, but longer prints. Optimizing your layer height for the parts function can save the most in the cost for your print. Does your print require any fine detailing? Are varying layer heights required for your print? Do you have a deadline in mind? Have you considered finishing in post? Regardless of your print resolution, post finishing can lead to a smooth exterior. 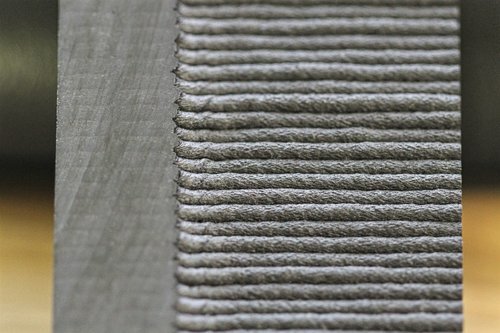 We offer a variety of finishes on all our prints, from sanding to The Cosine Finish. Which post process is ideal for your print? Milled and sanded on one side. With The Cosine Finish halfway through the part. 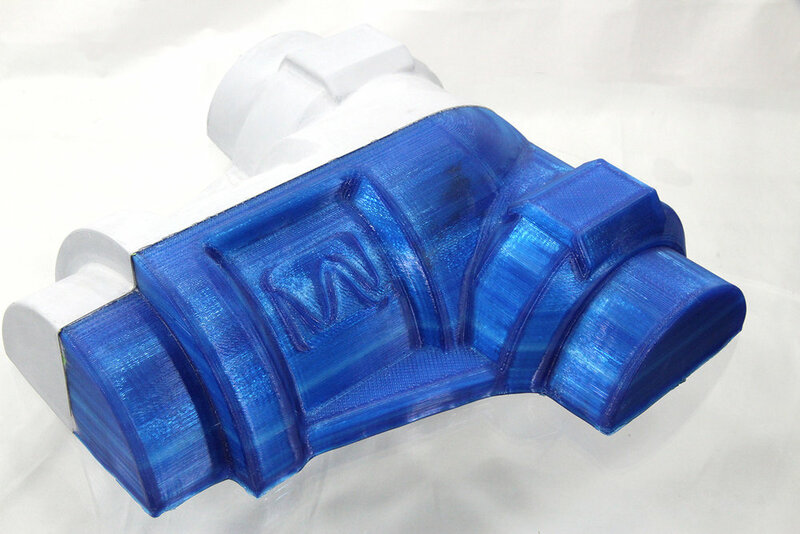 Blue PETG air duct mold print demonstrates casting applications. This box is made of TPU and with 10% Honeycomb infill. PPS with 50% Carbon Fiber printed with our pellet feed system in 6 minutes. Are there any properties your print requires? Specify the materials desired for your print. Every material has different properties suited for certain purposes. 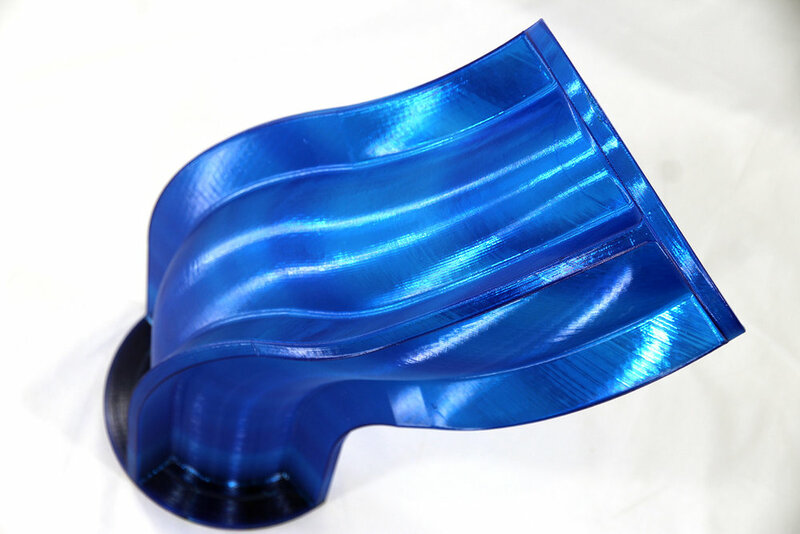 The same print with a different material can have a completely different application. Visit our Materials page for more info. Are there any properties you need your print to have?